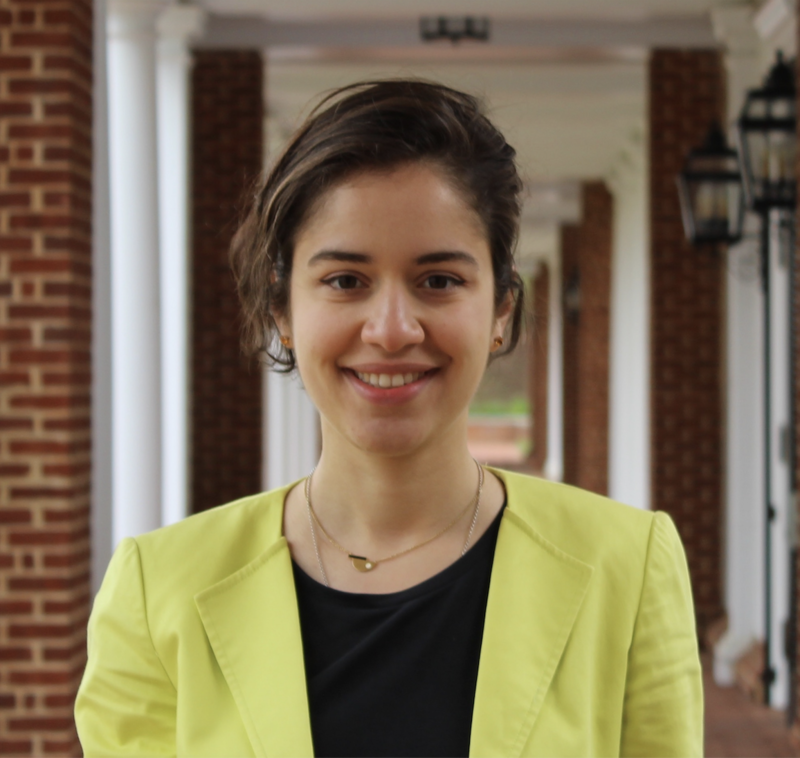 Salome is an MBA student at the Darden School of Business graduating in 2019 and the Darden Smith Soc president for the 2018 - 2019 year. She is currently with Citigroup for an investment banking summer internship in the Power Group in New York City. Salome previously held a finance role in a tech startup, Social Tables, where she contributed to an investment round raise, financial planning, and operational controls. She also worked in Washington D.C., where she was part of a finance team at the Urban Institute, a domestic policy think tank. Salome graduated with degrees in Finance and Spanish from the University of Alabama in Huntsville. She is originally from Republic of Georgia and enjoys traveling there. Prior to business school, you worked at a tech startup. What advice do you have for others looking to get involved in the tech industry? Cultivate an angle, be it in terms of finance, marketing, programming or whatever interests you. Get good at it and keep up with new developments in the sector, so you know what you’re adding to the mix. Also, go where the people go. For D.C., that meant meet-ups around 1776 (a network of D.C. incubators). As always though, sheer persistence will also get you very far. Try to demonstrate your passion by building a track record of engagements in the tech industry. You also worked at a DC-based public policy think tank. How did this experience shape your views on economics and politics? What was it like to work at a nonprofit as compared to a private sector firm? Working at a think tank demystified the policy making process. I saw individuals with huge passion for their work trying their best to positively influence society. I also saw how challenging it was to translate research into something that’s more accessible by the public. In the end, it’s really up to the individual to read from more than one perspective, look for evidence-based research, and make an informed opinion. On the other hand, the private sector benefits from the immediate impact with its customer, realizing quick ideation and execution patterns. The private sector allowed me to try something and possibly fail, while the nonprofit had to be more cautious. As a native of the Republic of Georgia, how do you see capitalism developing in Georgia and other former Soviet republics? The former Soviet republics had a crash course in capitalism and the transitions weren’t well managed. But the influence of capitalism was transformative—it changed the way people thought of their future and their children’s futures. Georgia has come incredibly far since the 1990s; it’s unrecognizable even from a decade ago. Many challenges still remain but people are now informed on democratic and free market values, hence they are better equipped to handle those challenges. You mention your love of travelling in the Republic of Georgia. What is your favorite place to visit, and why? I love going to the mountains in Georgia. The Kazbegi region has some of my favorite views of the Caucasus mountain range and I try to go hiking each time I visit. Svaneti is another region in the west of Georgia, which I have yet to explore but I’m hoping for a trip in 2018. What most excites you about being a chapter leader for the upcoming academic year? What do you hope to learn or accomplish from the Leadership Retreat in New York City? I hope to engage Darden students with the ideas of Adam Smith, in order to have in-depth discussions on the current economic and public policy environment. It’s critical to advocate for free markets and capitalism, especially today, given recent global developments. The Leadership Retreat will be a great opportunity to gather ideas and meet various chapter leaders.